15 of Stevie Nicks Best Songs Ever! Happy Birthday, Stevie! Happy Birthday Stevie! 15 Best Stevie Nicks Songs Ever! Yesterday, was not just Memorial Day, it was rock Goddess Stevie Nicks 66th birthday. One of the most prolific songwriters of our time, she started out in Buckingham Nicks with Lindsey Buckingham before the two of them joined Fleetwood Mac. That ended up becoming music’s most famous soap opera and helped sell hundreds of millions of records. She went solo in 1981 with Bella Donna but would continuously join and leave Fleetwood Mac. With drugs and non-stop alcohol behind them, the famous five reunited in 1997 for a live album and tour, The Dance. Stevie has continued to release solo music and has experienced a well deserved renaissance in her career in the past few years with the release of her In Your Dreams album and documentary and a successful storyline and appearance (& tribute) on American Horror Story: Coven. Today, we celebrate Stevie Nicks on her 66th birthday! Beautiful, talented and better then ever! We’ve collected 15 of her best songs with our favorite performances for you to watch and the stories behind them. Hit the jump for 15 of Stevie Nicks Best Songs Ever! The first time that most of the world heard Stevie Nicks was track 4 of the self titled Fleetwood Mac album released July 11 1975. It was released as the third single from the album on February 4, 1976 hitting #11 in the US. The powerful performances Nicks gave is stuff legends (& rock Goddesses) are made of. While released on 1975’s self titled Fleetwood Mac album, the song wasn’t released as a single until 23 years later on The Dance – Fleetwood Mac’s 1997 live reunion album. It hit #10 on the Adult Contemporary chart and went on to sell over 1 million copies. From there it was covered by such artists as The Smashing Pumpkins and Dixie Chicks who took it to #7 on the Pop Charts. The second single from the classic Rumours album, Dreams became a #1 hit – unbelievably, the only Billboard #1 Fleetwood Mac has had. A song about her breakup with Lindsey Buckingham, Christine McVie originally called the song “boring” before changing her mind when Buckingham transformed the piano demo into the track that it is today. 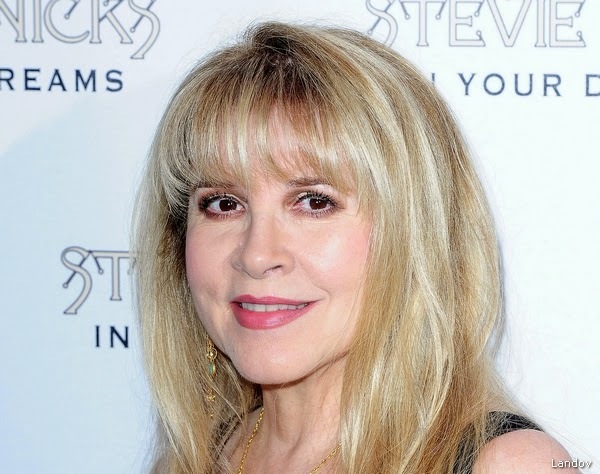 One of Stevie’s signature songs, Gold Dust Woman was written about trying to make it through a bad relationship while being addicted to cocaine. The song has been covered by numerous artists and remains a Nicks and Fleetwood Mac live staple and fan favorite. RELATED: Real Housewives The Countess....Live! “Drowning in a sea of love where everyone would love to drown”. Does anything else need to be said? This is the only song we’ve included here that wasn’t written by Nicks herself. This was written by Tom Petty and Mike Campbell of Tom Petty and the Heartbreakers. No Stevie Nicks retrospective or celebration is complete without including this song though. The first single off of her first solo album Bella Donna, the song established Stevie as a force to be reckoned with away from Fleetwood Mac. It hit #3 on the charts. Nicks originally wrote Leather and Lace for Waylon Jennings to sing with his wife on his album “Leather and Lace”. As fate would have it, they broke up. Stevie kept it for Bella Donna and brought in Don Henley, whom she was romantically involved with, for vocals. It hit #6 on the charts and stayed there for 3 weeks. One of the most recognizable guitar riffs of all time, Edge of Seventeen was written by Nicks in response to the death of her uncle and the murder of John Lennon in the same week. Still played in her sets to this day, the song has endured over 30 years and still sounds fresh today. The second single released from Fleetwood Mac’s Mirage album, Gypsy was about two very important time periods in Nicks life – her time before joining Fleetwood Mac and her best friends death from leukemia. The first single from her second solo album The Wild Heart, Stand Back was written on Nicks’ honeymoon after hearing Prince’s Little Red Corvette on the radio. She immediately stopped and purchased a tape recorder and wrote Stand Back in the honeymoon suite that night. The marriage was short lived. ‘Has Anyone Ever Written Anything For You?’ was the third single from Rock A Little, her third solo album. The song was written after Joe Walsh was dealing with the pain of losing his daughter. Nicks had been complaining about life on the road and Walsh told her the story about his daughter. The only thing his daughter would complain about was that she was not tall enough to reach the water fountain. Walsh drove Nicks to a park and as they got out of the car, Nicks realized that he had built a fountain in memory of his daughter. The plaque reads: “Dedicated to her and all others who were too small to get a drink”. RELATED: Little Kid's Born This Way Cover Is AMAZING! Originally written for Rumours, the song was cut from the album due to it’s length. Nicks has stated that it’s exclusion became a point of contention between herself and the band. The song was written as a response to Lindsey Buckingham’s Go Your Own Way and ironically, Silver Springs ended up being released as a B-Side to that very song. 20 years later, the song was included in the 1997 live reunion album The Dance where it was released as a single and became a highlight of the tour and album. It earned Fleetwood Mac the Grammy Award for Best Pop Performance by a Duo or Group with Vocals. First written and recorded as a demo for Rumours, a completely new version was recorded for Stevie’s 2001 solo album Trouble in Shangri-La. The song went on to not only garner Nicks a Grammy nomination for Best Female Rock Vocal, but gave her a surprising #1 hit – on the dance charts. Originally released on The Wild Heart, Beauty and the Beast got new life when Stevie performed it for her 2009 Live In Chicago DVD. As footage from the 1946 film played in the background, they were unable to release the footage for the DVD. Instead, Nicks went back into the studio and recorded this gorgeous, swelling orchestral version of the song. Nicks states that the song is about her entire life and how people are both beautiful and horrible. Buy Crystal Visions: The Very Best of Stevie Nicks (CD & DVD) on sale at Amazon today!